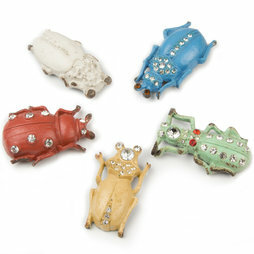 For bug fans with a knack for bling bling and vintage. These big, shimmering scarabs leave a dazzling impression and definitely stick out! Only the white bug is a little reserved and does not have rhinestones.